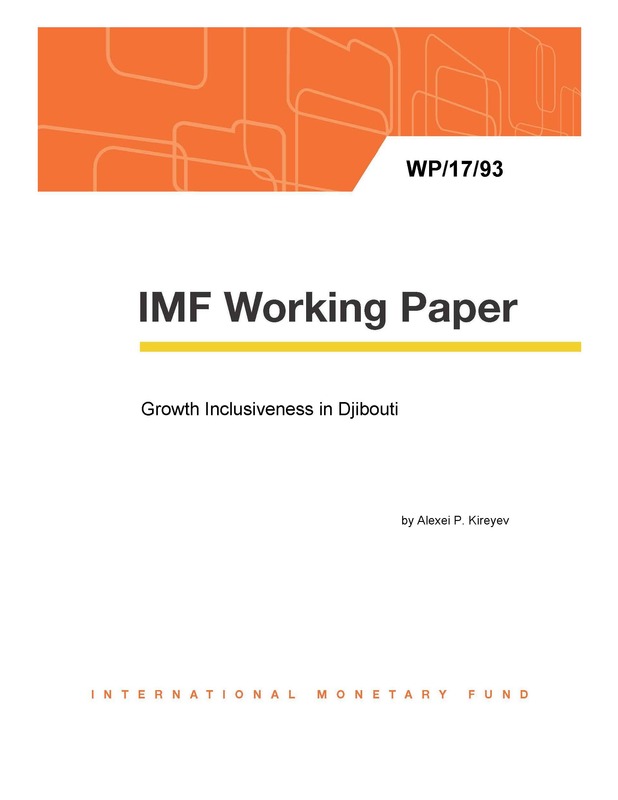 The paper examines the poverty-reducing and distributional characteristics of Djibouti’s economic growth, and discusses policies that might help make growth more inclusive. It covers the period between 2002 and 2013, for which comparable household surveys are available. The main findings are that while in the past decade the overall level of poverty in Djibouti declined, there have been no clear signs of improvements in either equality or growth inclusiveness. Growth has not been inclusive and benefitted mainly those in the upper part of the income distribution. These conclusions should be treated as indicative. Progress in poverty reduction and inclusiveness would require not only sustained high growth but also the creation of opportunities in sectors with high earning potential for the poor. Better targeted social policies and more attention to the regional distribution of spending would also help reduce poverty and improve inclusiveness.